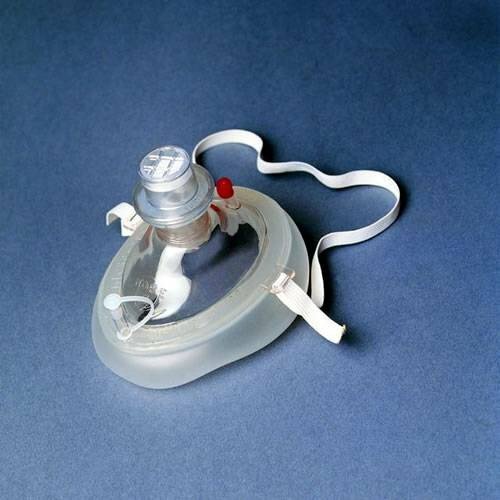 Features a positive, one-way, nonbreathing, replaceable valve complete with filter. Made of materials that remain flexible over a wide range of temperatures so that the mask conforms to facial contours. The cushion inflation tube allows the rescuer to adjust the cushion shape and firmness to achieve a proper seal on adults, children or infants. Collapsible design folds into a blue, sippered, belt loop pouch. Disposable pair of nitrile gloves included.